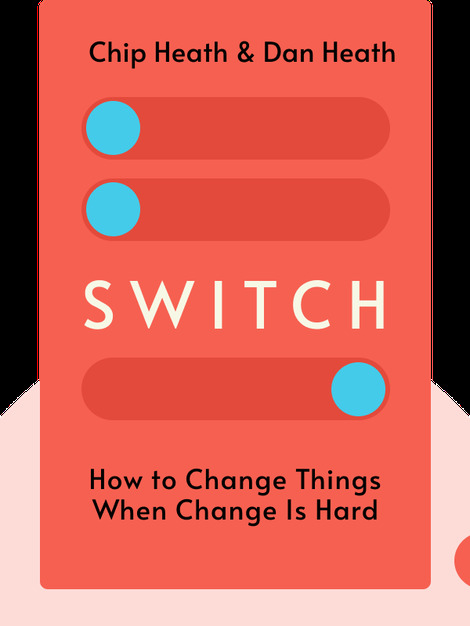 Switch examines why it is often difficult for people to switch their behavior, and how, by understanding the mind, it is possible to find shortcuts that make change easier. Through scientific studies and anecdotes, Switch provides simple yet effective tools for implementing changes. 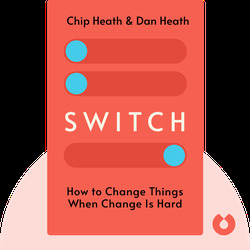 Chip Heath is a professor of organizational behavior at Stanford University, and his brother Dan Heath is a senior fellow at Duke University. They have co-authored two other bestsellers: Made to Stick and Decisive.